With the scandal of Marie Antoinette’s necklace, the nobility sees an opportunity to show their discontent in a trial that raises the expectations of the whole country. Taking advantage of the political upheaval, a group of liberals hatch a plot to discredit the Queen. A noble courtier is charged with investigating the case. His principal suspect is a magistrate with whom he is competing for the love of the same woman. Meanwhile, the political agitation grows ever more acute. The attempt of the King to force the privileged classes to pay more taxes provokes the virulent opposition of those committed to overthrowing the Crown. The struggle creates new and unexpected powers: Political Parties, the effervescent clandestine Press and Public Opinion, which has unstoppably taken over the streets. Against the background of the most famous revolution in History, love, friendship and enmity grow and fracture amongst the characters as they struggle to survive the political frenzy in which they are enveloped. With an impressive narrative rhythm, the author doesn’t give a moment’s respite as she presents us with a potent mix of History, passion, intrigue, adventure and unforgettable characters that will delight and entertain the readers. 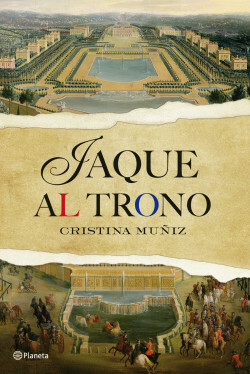 Historical Novel Prize Alfonso X El Sabio 2009. The mystery of the necklace that set the French Revolution alight.